Cocise Grace is a Licensed Professional Counselor who joined Georgia Behavioral Professionals in October 2018. Cocise specializes in working with adolescents, young adults, parenting concerns, and family dynamic issues. Skills include working with individuals struggling with anxiety, depression, relationship concerns, self-esteem, assertive communication, stress management, as well as those individuals dealing with adjustment to major life transitions. She uses an integrative theoretical approach based on the client's needs; combining aspects of cognitive behavioral therapy, positive psychology, and solution focused interventions. As a therapist, Cocise strives to provide a warm, compassionate, safe and courageous space for individuals to explore their everyday concerns and support them in their journey to personal growth. 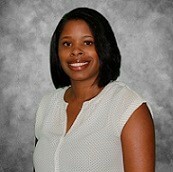 She earned her Bachelor degree in Business Administration from Clark Atlanta University. Cocise furthered her education and earned a Master degree in Clinical Mental Health Counseling from Argosy University. Cocise's career began as a social service counselor in an acute inpatient hospital from Jan 2014 to Sept 2018. Cocise served adolescents, adults, and their families struggling with various mental health diagnosis. Cocise graduated with honors from Argosy University. Cocise is a member of the Licensed Professional Counselors Association.